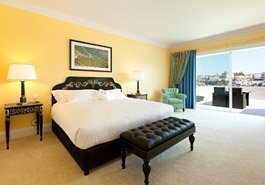 Fodor’s Travel, the leading name in travel guides in the USA for more than 75 years and a leading luxury travel website, announced on September 17th in New York that The Yeatman has been chosen as a 2014 Fodor’s 100 Hotel Award winner. 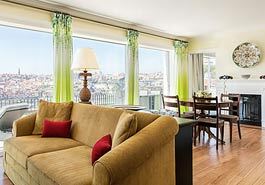 The distinction was awarded in the Modern City category and designates The Yeatman as one of the best hotels in the world, as selected by Fodor’s editors and travel experts, recognizing high style, excellent service and a remarkable experience for guests. 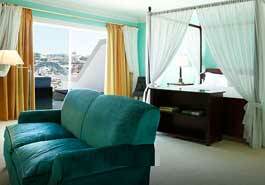 The Yeatman is the only Portuguese hotel to have been selected on this prestigious list of world class hotels. 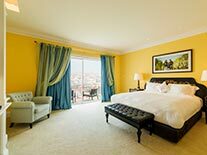 For the first time, readers were also invited to nominate their favourite hotel and The Yeatman was additionally chosen within this select category of 25 Best Hotels in the world in the Readers Choice category. All-Inclusive Vacations — From Antigua to Australia, these properties take care of all the details, so you can fast-forward to complete relaxation. Beach Getaways — If you dream of sandy beaches and lapping waves, consider escaping to one of these 12 resorts, from Oahu to Cancun. 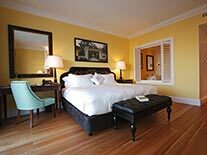 Boutique Chic — Tightly curated décor and local style define these 15 smaller hotels, from Calistoga to Zurich. Country Retreats — Romance and relaxation are among the draws at these 11 scenic properties, ranging from grand estates to mountaintop hideaways. Enduring Classics — These legendary properties around the world, from Rio to Paris, are more impressive than ever. Modern City — Sleek design and desirable addresses are the calling cards of these stylish urban hotels. 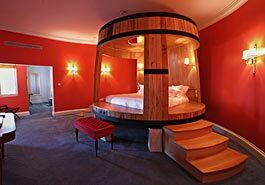 Small Hotels — At these intimate hotels, all with fewer than 50 guest rooms, expect personalized attention and one-of-a-kind experiences. Trip of A Lifetime — From Bora Bora to Botswana, these 12 iconic destinations belong on every traveler's bucket list. The 100 world properties span 43 countries and cover an amazing selection of hotels from a beach getaway in Brazil to a country retreat in England. 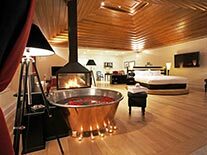 According to the type of experience required, there is a property for all discerning travellers. 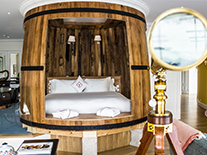 The complete list of this year’s Fodor’s 100 Hotel Award winners is available online at www.fodors.com/hotel-awards/2014.